Tired of bland, cookie cutter houses with no personality? Done with having the exact same facade as your neighbor in a slightly different shade of blue? Ready for something that inspires you and comes already feeling like a home? 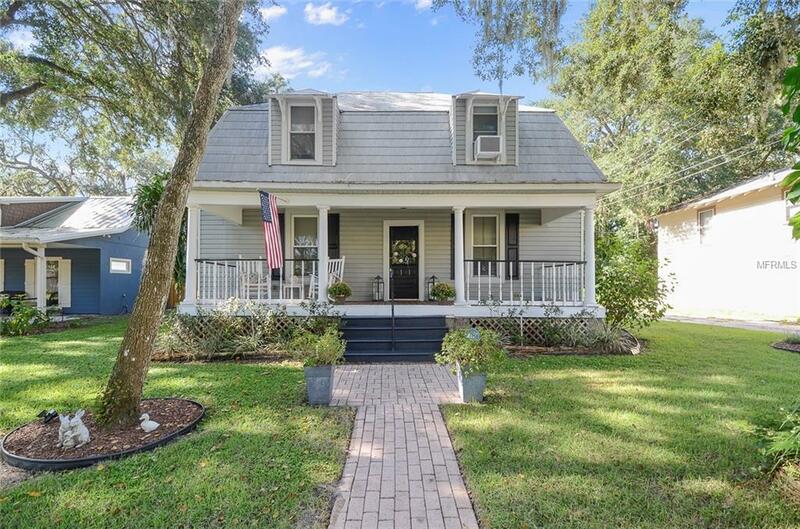 Now's your chance to have your very own piece of Sanford history!This fantastic downtown Sanford home has been lovingly maintained since it was built in 1910. It's an amazing opportunity to live in a home with modern amenities, perfectly paired with historic charm. This house is time-tested and proven to withstand everything Florida has thrown at it.You enter into the formal living room with wood floors and a gas fireplace. The dining room is off of the living room and leads into the large updated kitchen. The kitchen features a breakfast bar, walk in pantry, granite counter-tops, and stainless steel appliances! The master bedroom is located on the first floor with its own master bathroom and walk in closet. The two additional bedrooms in the main house are located upstairs and share a full bathroom. The home has been updated with a newer kitchen, bathrooms, plumbing, electrical, siding, gas appliances and has been freshly painted. (Garage and storage structure offered as-is.) Conveniently located blocks away from local parks, downtown Sanford, the beautiful Lake Monroe, River Walk, Sanford Marina Boat Ramp, Zoo, Amtrak Auto Train, and all of the City of Sanford has to offer!